It was during the building boom that marked the early years of the twentieth ce ntury that Chicago recognized the need for multi-unit dwellings that provided for gracious living. Nowhere is the marriage of functionality and refinement more evident than in the spacious apartments in this building. 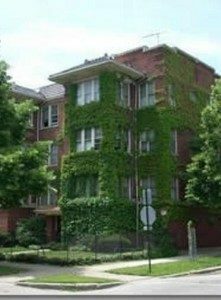 Constructed of sturdy, historic “Chicago Brick,” this tastefully appointed eighteen-unit building includes classic one, two, and three-bedroom apartments that are perfect for family living or individuals who desire massive living space. 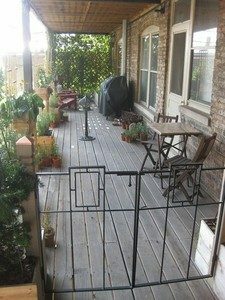 Each apartment is comprised of large rooms, including a dining room and sc reened-in rear porch. All of the rooms feature gleaming hardwood floors and woodwork plus ceiling fans. Ample windows admit the lake breezes and allow for abundant sunlight. Roomy kitchens and bathrooms complete the picture. All apartments are cable ready. Heat and water are included in the rent. Laundry facilities are conveniently located on the premises and indoor ($165/mo.) and outdoor ($140/mo.) parking is available.